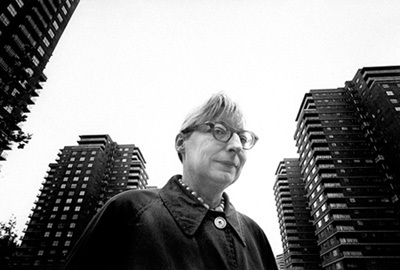 Jane Jacobs, one of the most important figures in the history of urban planning, has passed away at the age of 89. Her famous 1961 book, "The Death and Live of American Cities" took on the central-control-master-plan school of urban renewal... the type of planning that left many cities split apart by huge freeways and monolithic decaying high-rise housing projects. She was perhaps the first critic to argue the importance of small neighborhoods within cities...places where stores, restaurants, parks, schools, and housing for all levels of income can all co-exist. There are rememberences of her on Treehugger and The Globe and Mail. There are sure to be more in the coming hours and days. You can google for the latest.